The Book Blog of Evil: Who Are The People In Your Neighborhood? Can you sing it with me now? 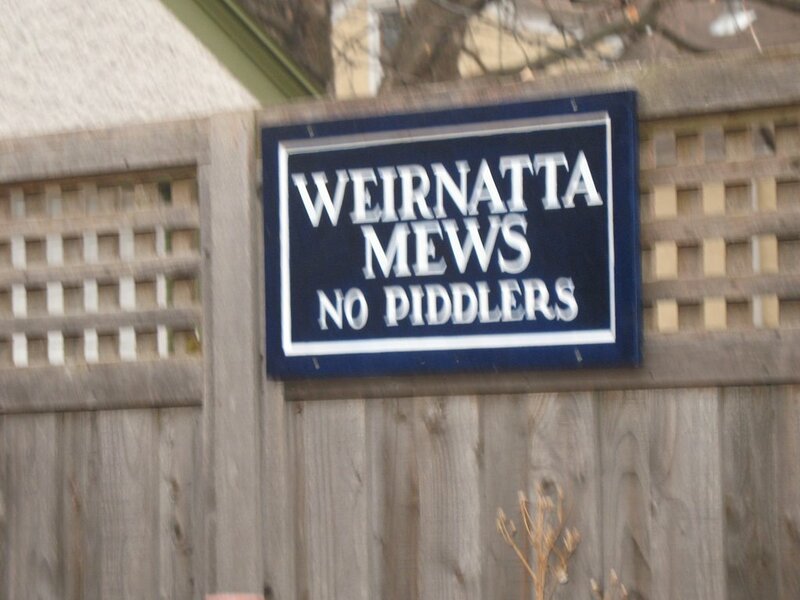 Apparently the people in my neigborhood are fond of puns. Bermondsey and I found this at the entrance to an alley while out on one of our walks. The picture is a little blurry, because Bermondsey kept tugging at the leash while I was trying to take the picture. 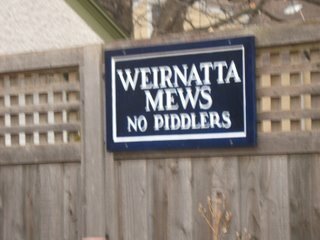 And then we went the other way, because if there is something my dog is, it's a piddler.